How to get to Cachi? Where to stay in Cachi? 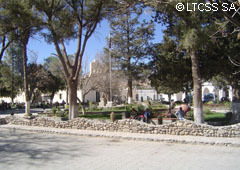 Cachi is one of the most beautiful villages in the Calchaquíes Valleys. These valleys conform a culture, scenery and production combo that makes the place unique in the world. In this trip, you will access Calchaquí Valley through Quebrada del Escoipe, a place where agriculture is the main activity, and where you will see multicolor hills all around. 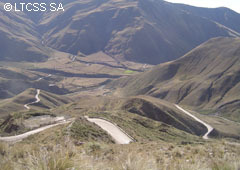 Afterwards, the climbing of the imposing Cuesta del Obispo will situate you 3350m above sea level, to later descend to Valle Encantado (Los Cardones National Park), where you will find a lagoon among high meadows, condors flying up high, and the pure air of the Andes. You will be able to enjoy a walk in this incredible frame. 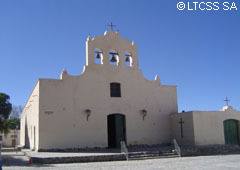 You will later visit Cachi, a pre-Hispanic town that used to shelter the Chicoanos. 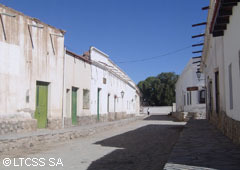 The architecture shows noticeable influence of both the indigenous and Hispanic trends, with constructions aligned along very narrow streets, everything in excellent state of preservation. The Archeological Museum in this town is well worth a visit.